1 Bedroom Apartment To Rent in Ipswich for £375 per Calendar Month. Furnished and fully equipped this accomodation can be moved straight into. The location is ideal for professional singles working in town or commuting, can also be used a a weekday residence only. Ipswich Marina and Train Station are moments away and there are a multitude of bus routes literally outside the property. The contemporary fitted Kitchen is a communal space and comprises oven with ceramic hob, fridge/freezer and ample storage for each resident. There is also a kettle, microwave and toaster for general use as well as some crockery. A communal lounge completes the ground floor accomodation and includes sofa and flat screen Freeview TV also for shared use. The bedroom available is a good size, containing a dressed small double bed, benefitting from new carpets, hanging space and a neutral colour scheme. 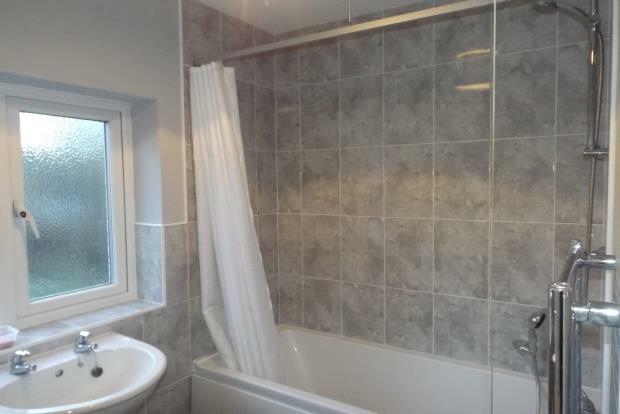 A shared bathroom and en-suite shower shower room are also located on the first floor, very contemporary and modern with high quality fixtures and fittings. This property is in excellent condition throughout and as such must be kept this way, as such, this arrangement will also includes cleaning services where the communal areas will be professionally cleaned every fortnight. Flexible tenancies are available and the property is suitable for working professionals only, all bills inclusive, no pets, smokers or those in receipt of housing allowances can be considered.